Your company’s data is the objective of hackers and unethical employees. It is a problem that plagues nearly every company because criminals know that the right information can be worth huge amounts of money to the right buyer in the digital underworld. Alternatively, many hackers simply like to cause trouble, getting a kick out of tampering with other people’s data in the worse possible ways. the minute you turn your back or allow someone to slip through the cracks, you might find your data has been stolen, compromised, or even contaminated by a malicious virus. Any of these unfortunate outcomes can end up being a costly mess for your company, potentially ruining your business. Here are a few ways that you can approach protecting your data from these attacks. Everyone understands the value of a password. 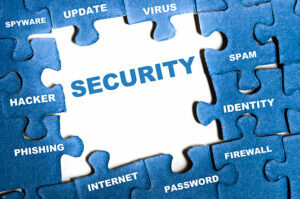 Passwords place an obstacle between a potential hacker and your sensitive data. But, a password system that deals with many levels of priority clearance make things a little more difficult for hackers messing around. Even if a hacker can break in using a password with a low priority, this will never grant them access to all the data available in your system, since access to this data is reserved for those who have a higher priority clearance. The more levels of priority clearance you use, the more difficult it can be for the hacker to gain access to your company’s data. Just because a hacker breaks into your system in search of something valuable to get their digital paws on, that does not mean that the data they have gained access to is worth anything. Making the hacker spend huge amounts of time downloading garbage data, in search of the needle in the proverbial haystack, is perhaps one of the more effective ways to keep a hacker busy. Consequently, it can be one of the more expensive ways to keep them busy too. How many thousands of terabytes of information you want to make them download and sift through is up to you. Often the best security for data is whatever measures make the hacker waste huge amounts of time digging through garbage, with little to nothing to show for their wasted efforts. Another great way to leave a hacker high and dry is to encrypt the data on your servers. Although many modern encryption methods are subject to vulnerabilities, there is no law that says you have to use a method that is common or even known. Savvy programmers are constantly coming up with new methods of encryption all the time. If you really want to make life rough for a hacker, it is often a good idea to take your computers off the Internet, or turn them off, when you and your employees are not in need of accessing the data on them. Leaving your servers on the Internet all the time, which gives hackers unlimited opportunity to fight for access, is really nothing more than a site breach waiting to happen. This solution can tend to be more practical for some businesses and not others, but it is an option to consider nevertheless. Whatever the case is with your sensitive data, you must do something to introduce various obstacles that will keep hackers busy and ultimately out of your system as much as possible. How you plan to protect your data is really up to you. But continuing to do nothing is an open invitation that exposes your data to people who you may regret having access to it.